Credit: Smithsonian’s National Portrait Gallery. Photo by Matailong Du. Several news outlets are reporting that the National Portrait Gallery is unveilling portraits on February 12, 2018 of former President Barack Obama and former first lady Michelle Obama. 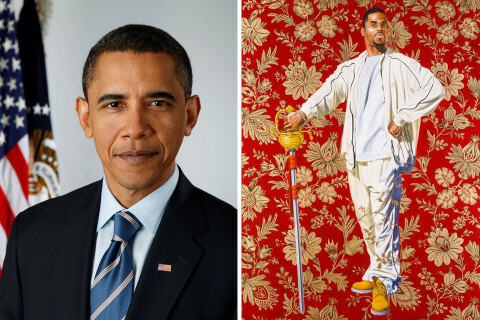 One of the Barack Obama’s portrait was painted by Kehinde Wiley — an artist best known for his vibrant, large-scale paintings of African-Americans. For Michelle Obama’s portrait, she is honored in a portrait by Amy Sherald who is a Baltimore-based artist and first-prize winner of the Portrait Gallery’s 2016 Outwin Boochever Portrait Competition. The National Portrait Gallery is part of the Smithsonian group of museums. The gallery has a complete collection of presidential portraits. It’s happening now! I’m watching live … m’gosh!! How I miss intelligence, grace, dignity and so much more … It’s soothing to hear words from these amazing human beings!! I sure miss them both!! This is the man who the republicans en masse disparaged, called a Muslim, non American, a liar. He stacks up against President Trump as a true American gentleman and an American icon we can be proud of under any circumstances. 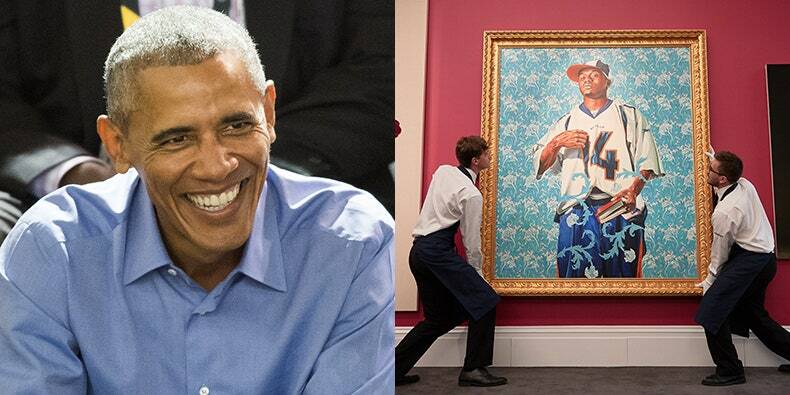 It’s nice to see some dignity related to the White house.